Move follows federal study correlating increase in lung cancer incidence with time spent at fires and exposure to other hazards. Sept. 6, 2017 (Sacramento, CA): 20/20 GeneSystems, Inc. (Rockville, MD) announced today at the Continuing Challenge conference, among the nation’s largest yearly professional meeting for hazardous materials (HAZMAT) fire department personnel, that it will offer its newly enhanced blood test for the early detection of lung cancer (www.BloodTestforLungCancer.com) at deep discounts to current and former fire fighters and other emergency responders with long term exposure to hazardous materials. 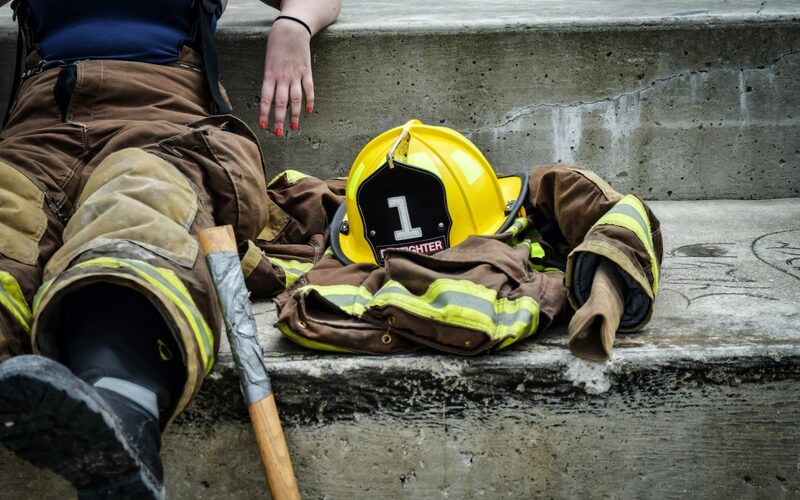 Special lung-cancer risk factors for fire fighters include “exposure to aerosolized chemicals, including benzene, asbestos, polycyclic aromatic hydrocarbons (PAHs), formaldehyde, and diesel exhaust” according to the website of the Roswell Park Cancer Center. Lung cancer is the leading cause of cancer deaths in the U.S. exceeding deaths from breast, colon, and prostate cancer combined. While far fewer than 10% of those diagnosed with advanced lung cancer survive 5 years, early stage, screen detected lung cancer can result in 5-year survival rates approaching 90% according to several published studies. 20/20’s proprietary lung cancer test, known as “PAULAs test”, measures a group of tumor-associated proteins in the blood and uses machine learning algorithms to combine the biomarker levels with various clinical risk factors including smoking history age. Those whom the test deems to be at high risk are recommended to receive a CT scan so that early stage tumors can be surgically removed before they spread and become incurable. Over 3,500 individuals have received PAULAs test to date. In May 2016, the results of a blinded validation study of PAULAs test were presented by Peter Mazzone, MD, who heads the Cleveland Clinic’s Lung Screening Center at the annual meeting of the American Thoracic Society. The study concluded that 20/20’s biomarker panel was more accurate in identifying lung cancer risk than clinical factors alone and that the combined clinical factor-biomarker algorithm model had the highest accuracy. In 2018 the company expects to introduce the first multi-cancer blood test with a machine learning algorithm to simultaneously screen for at least 5 major cancers. In addition to its the company’s blood tests for early cancer detection, 20/20 has also commercialized for more than a decade its patented BioCheck® detection kit to help fire departments and other emergency response organizations screen suspicious powders. (www.BioCheckInfo.com). 20/20 GeneSystems, Inc. (www.2020Gene.com) is a Rockville, MD based company focused on reducing cancer mortality worldwide through early detection. It has pioneered a novel approach which is calls “20/20 Hindsight” of continuous machine learning using large patient data sets of blood biomarker values with clinical factors such as age, gender, and smoking history to improve the accuracy of the most widely used cancer biomarkers.